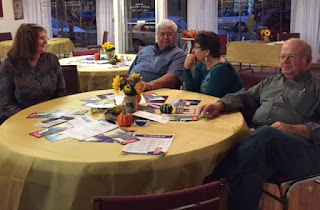 Missouri Delegate Allocation Plan and what you need to know about county caucuses slated for April 9th and more. 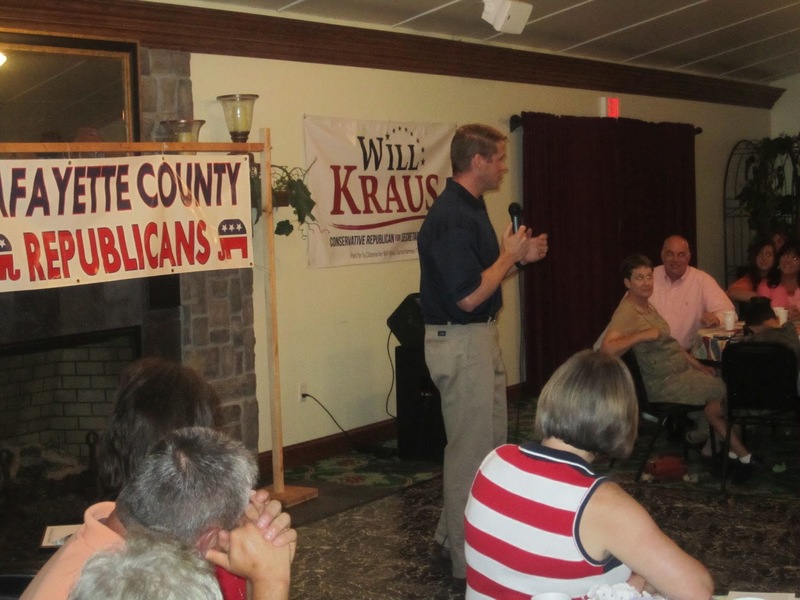 The Missouri Republican Party’s caucuses are public meetings held every four years to select delegates to the Congressional District Conventions and the State Convention, as well as review and consider amendments to the state party platform. 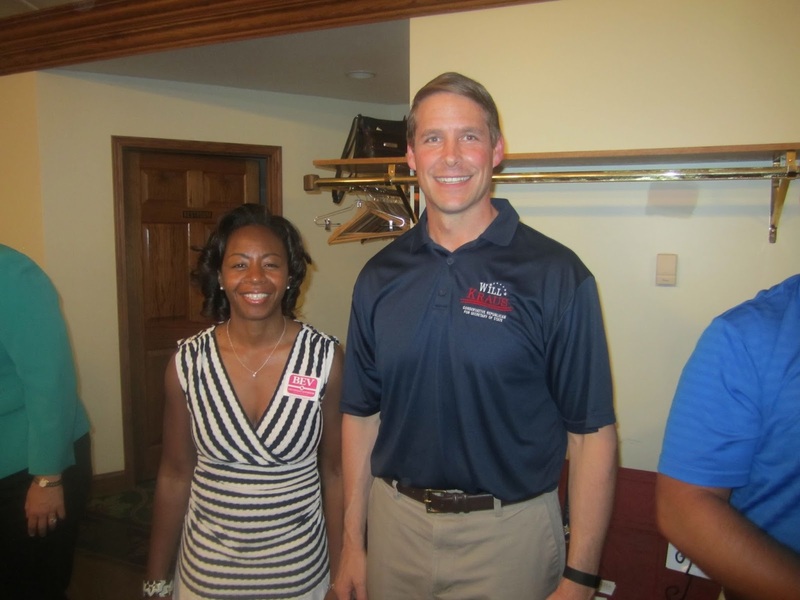 Read about rule changes via the Missouri Republican Party from their website link . 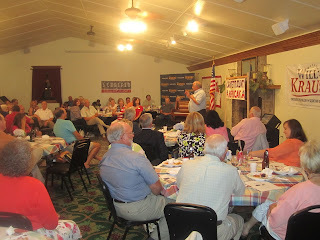 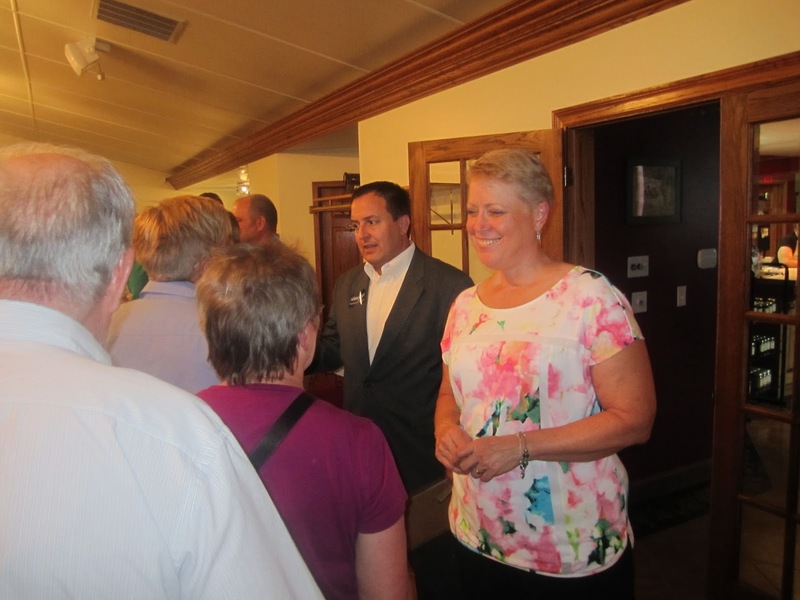 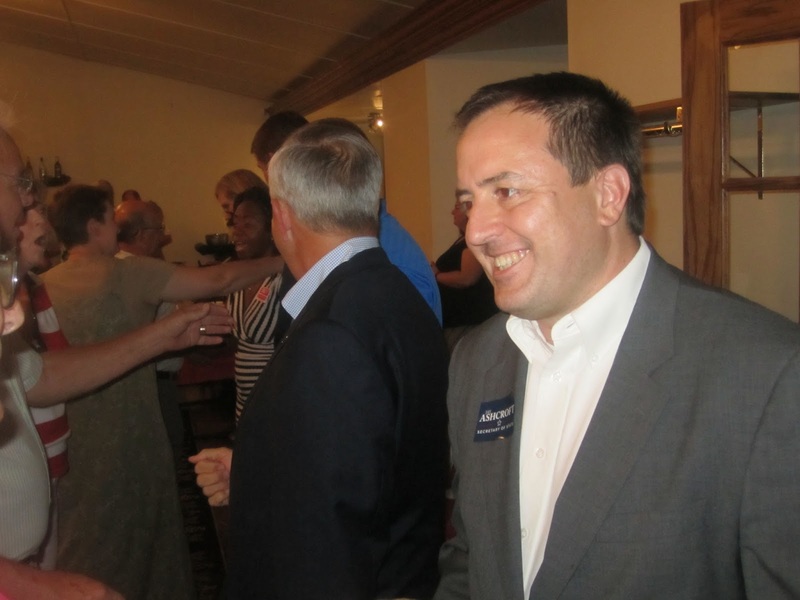 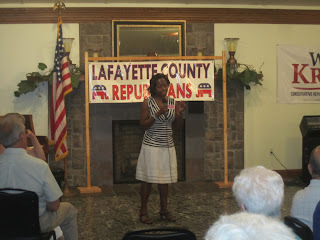 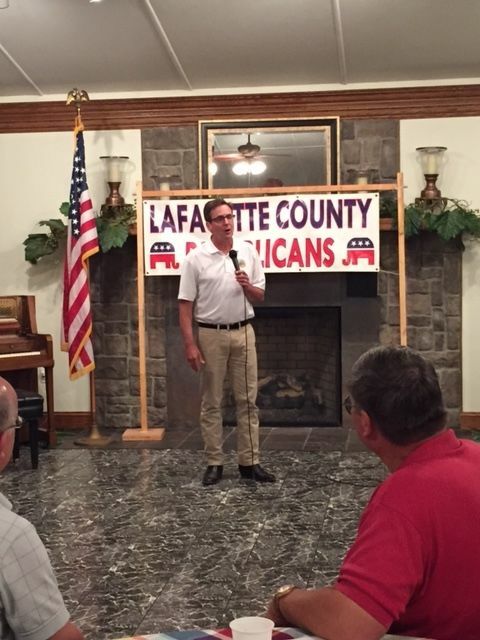 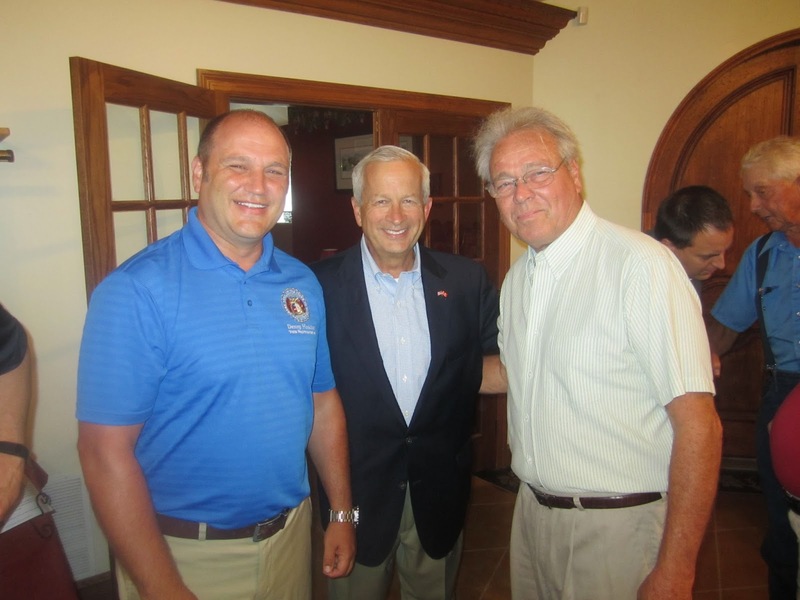 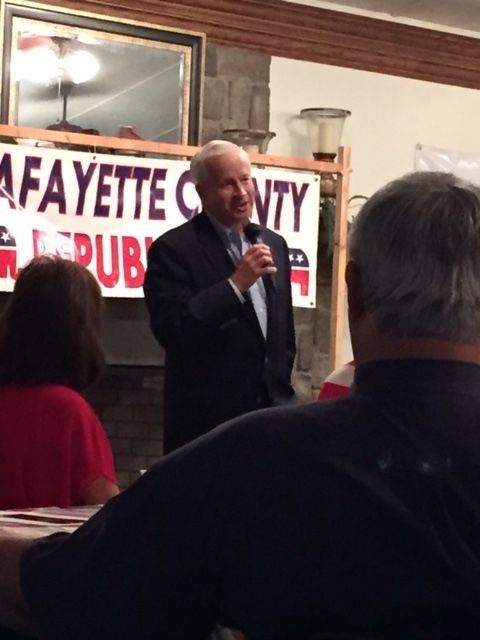 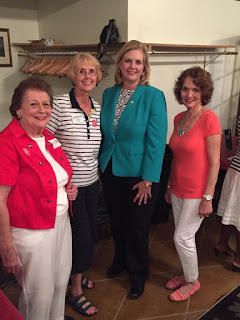 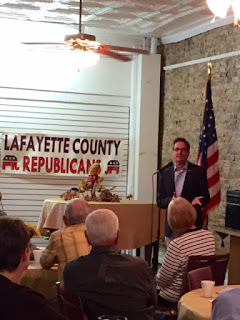 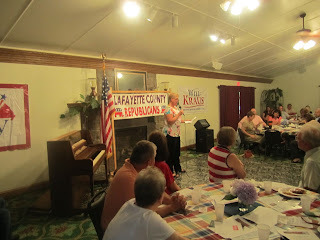 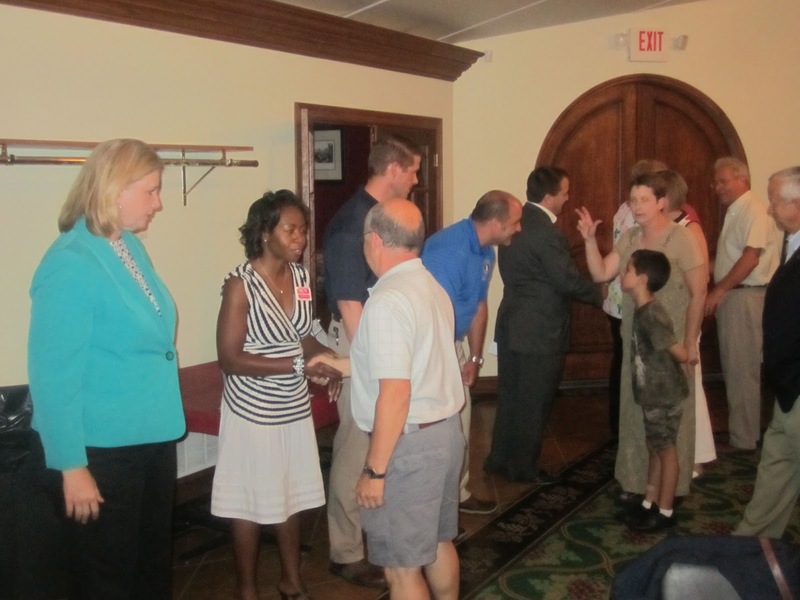 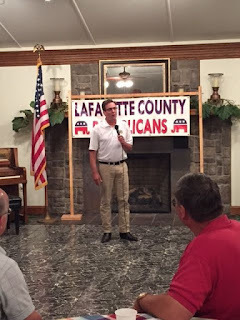 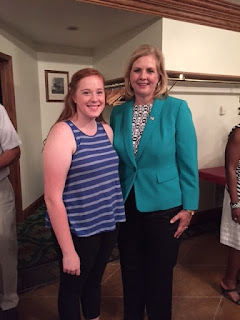 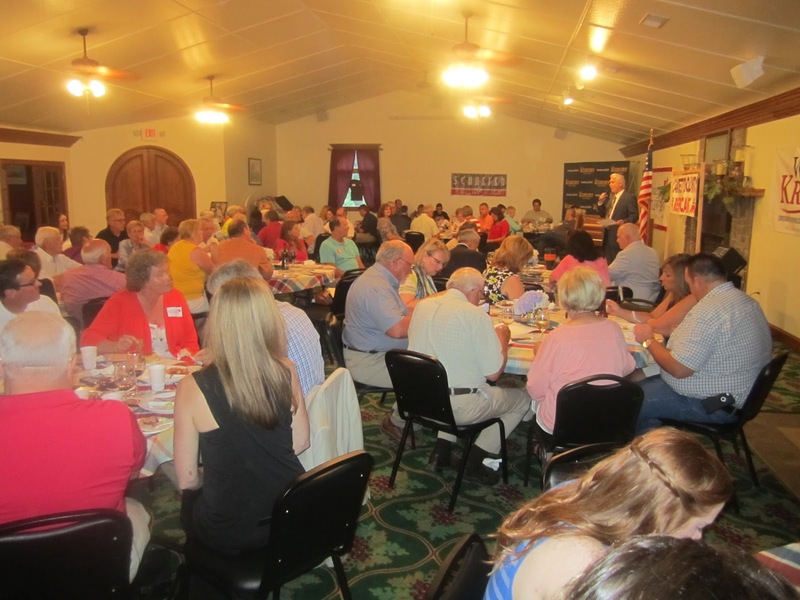 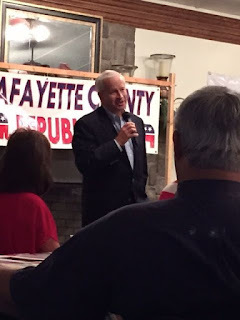 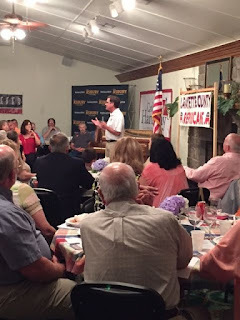 Lafayette County Republicans and Federated Republican Women enjoyed a carry-in dinner on October 22 with presentations by local and statewide candidates. Speakers included: Senator Kurt Schaefer, a candidate for Missouri Attorney General; Senator Will Kraus, a candidate for Secretary of State; and Jay Ashcroft, also a candidate for Secretary of State. 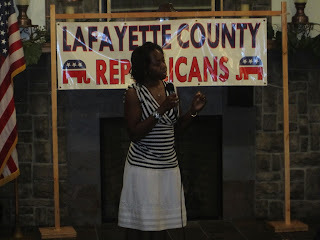 Representing Lt. Gov. 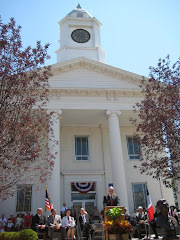 Peter Kinder was Reid Forrester. Kinder is a candidate for Governor. Representing John Brunner, also a candidate for Governor, was Jaret Jensen. 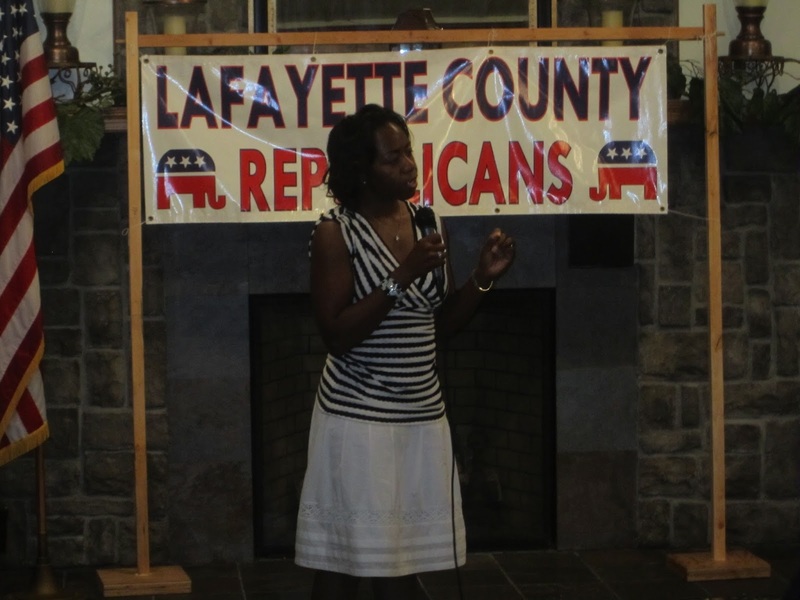 Addtionally, Cecilia Johnson represented Bev Randles, a candidate for Lt. 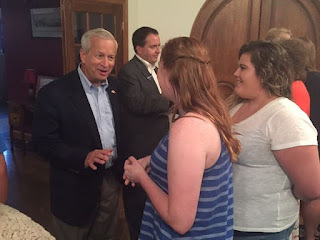 Governor. 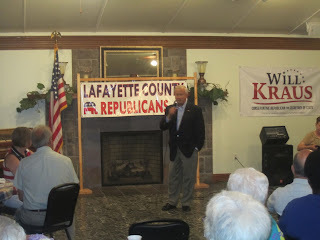 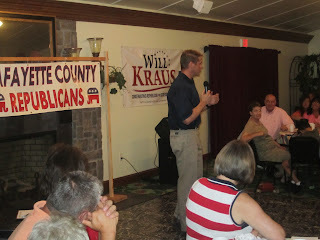 Rep. Glen Kolkmeyer, 53rd Legislative District, also addressed the group and discussed upcoming events in the county. 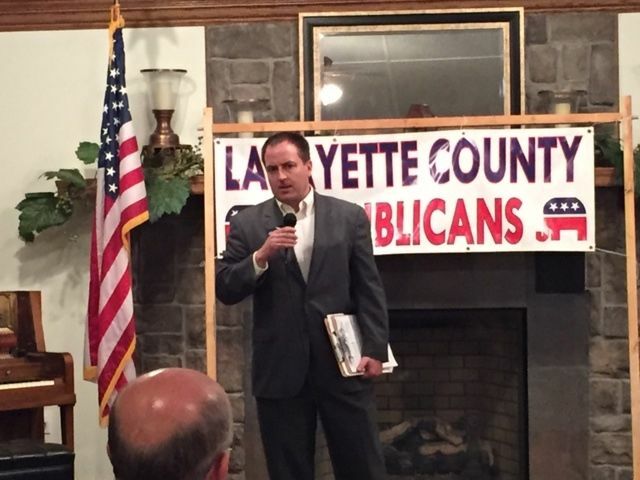 Lafayette County elected Republican officials were recognized. 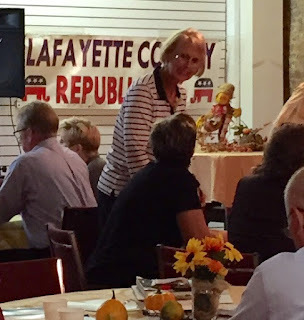 And as always at Lafayette County Republican events, delicious food added to the evening's festivities and everyone's enjoyment at the fun event held at P&H Event Center in Lexington, Missouri. Senator Will Kraus, a candidate for Missouri Secretary of State greets a fellow veteran. 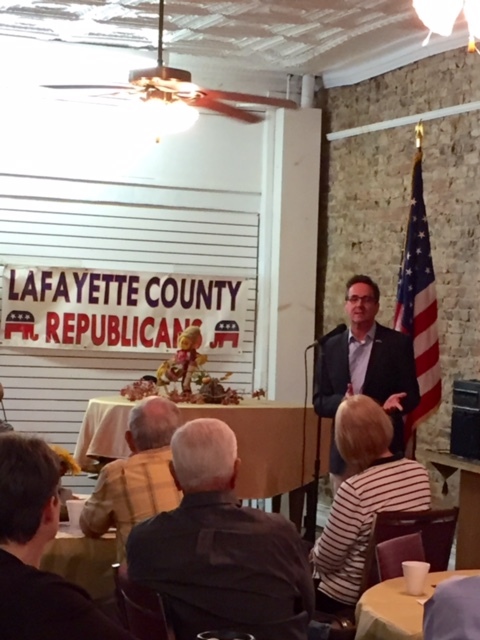 Elected Republican officials in Lafayette County were recognized. From left: Russell Kruse, Associate Circuit Judge, Division 2; Deana Aversman, Circuit Clerk; JoAnn Swartz, Recorder; Jennifer Jellum, Treasurer; Cheri Mason, Auditor; Harold Hoflander, Presiding Commissioner; Linda Niendick, County Clerk; Barb Copenhaver, Public Administrator; and Tracy Dyer, Southern District Commissioner. 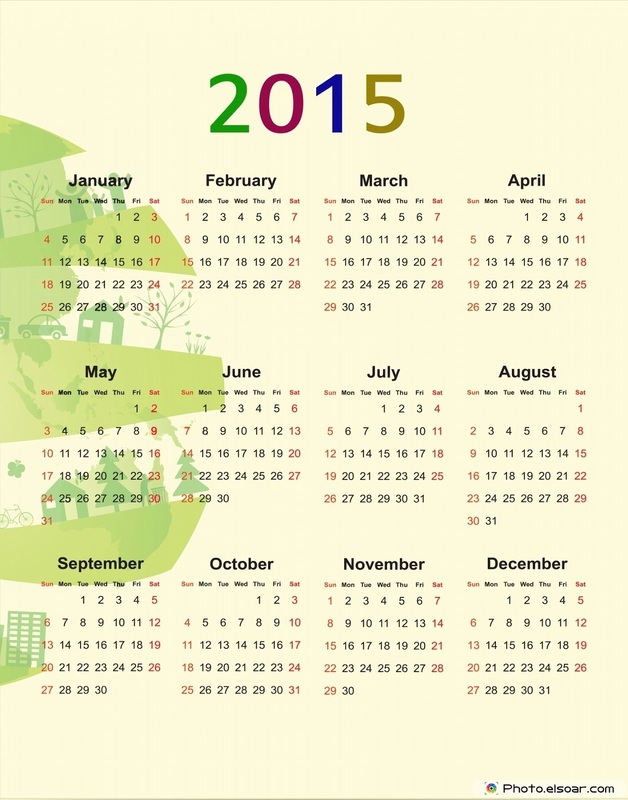 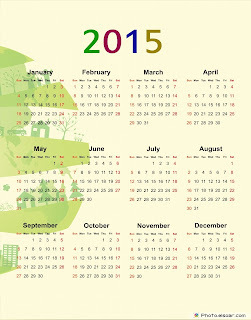 Put these dates on your calendar: Lafayette County Republican upcoming events.